Another week another cheese, this time it was the Torta Mascarpone. A rough translation of 'torta' is cake or pie. Torta Mascarpone is a cake with alternating layers of Mascarpone and Gorgonzola cheeses. 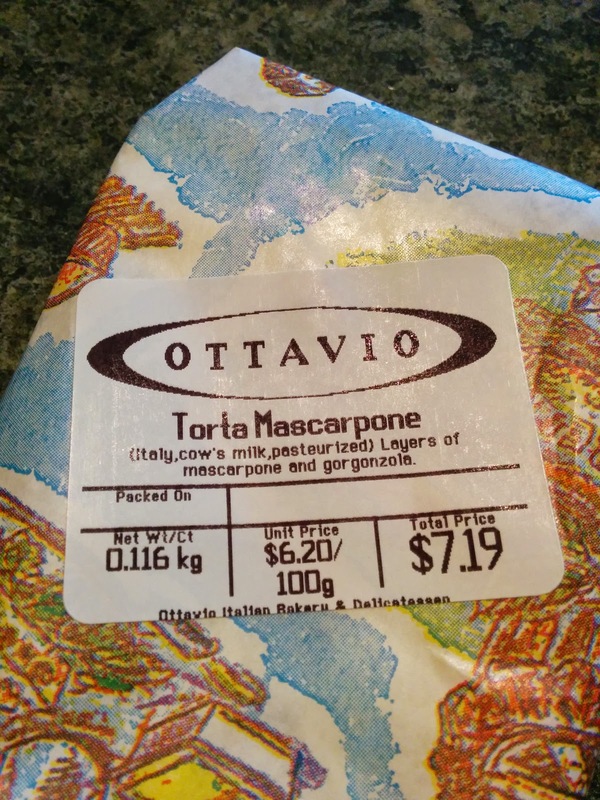 Mascarpone is an Italian equivalent to a soft creamy cheese like ricotta.The Torta has a smell similar to a blue cheese and cream cheese mixed together. 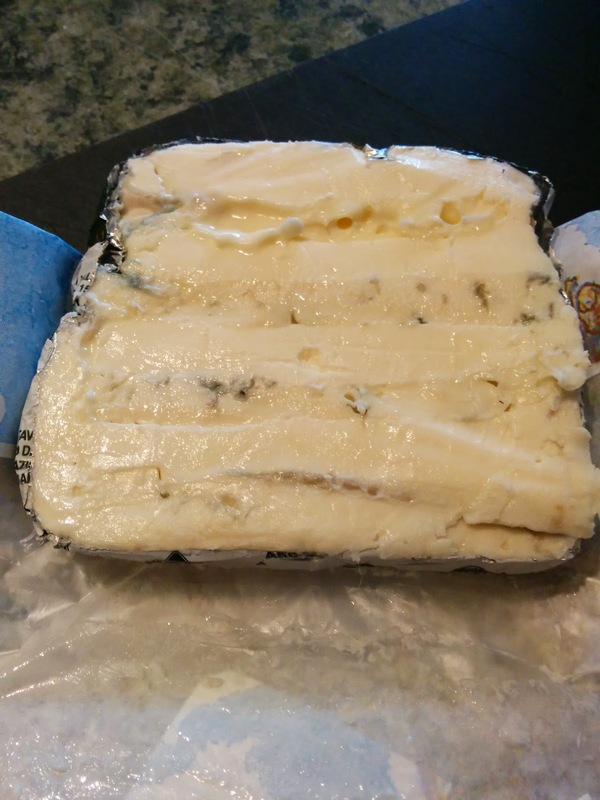 The spicy and funky aromas of the blue were there along with the citric tang of the Mascarpone. These flavours melted together to form this wonderful funky, tart and citric creamy delight. It was a spreading cheese as the Mascarpone made the combo very soft. The perfect beer would be something with ample carbonation to help lift the fat off the tongue. An ideal beer would also need a residual fruity sweetness to balance the tart Mascarpone and funky blue-veined Gorgonzola. A saison immediately sprang to mind. Yes, I know this is cheating; every fatty cheese goes well with a saison. 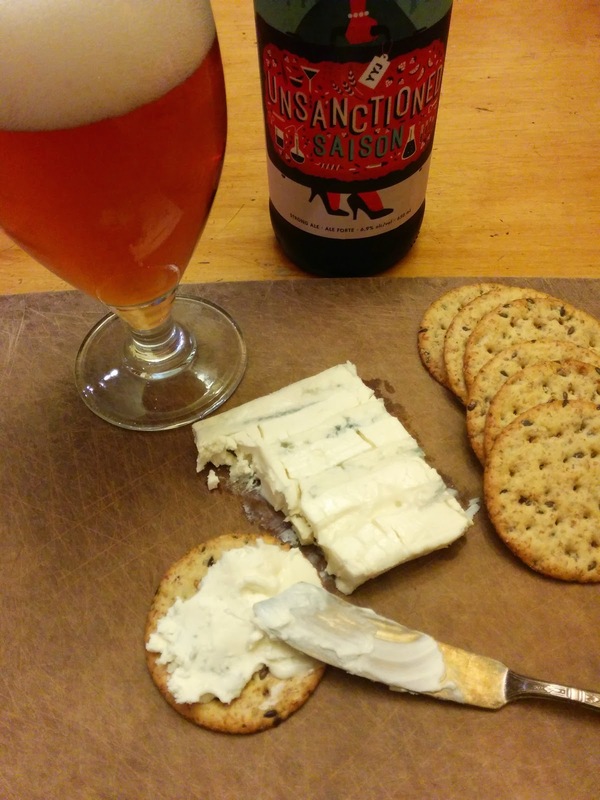 The classic Saison Dupont would be too dry and floral hoppy with this milder blue combination. So I picked the Category 12 Unsanctioned Saison. I wouldn't call the C12 a saison, it is too malty. I think the Unsanctioned is closer to the French style saison called biere de garde. The saison style is more familiar to beer drinkers than biere de garde. This combination was beer and cheese heaven. 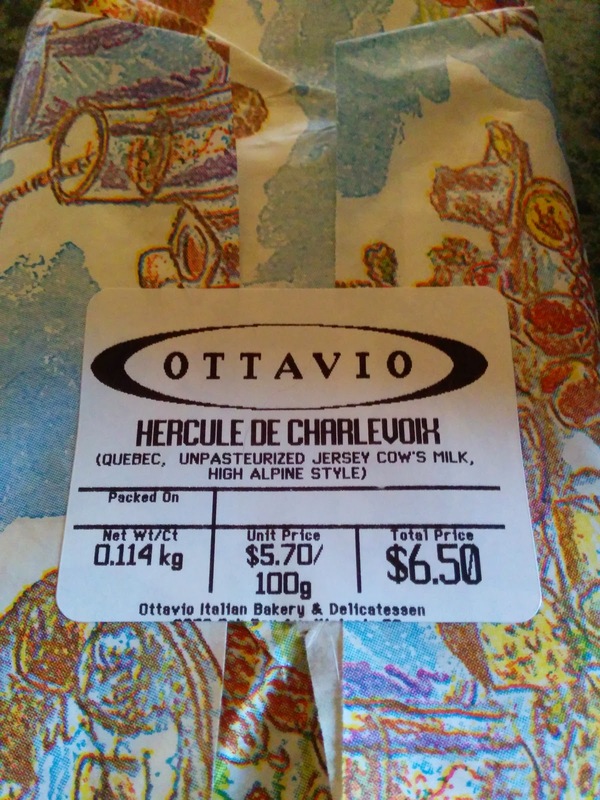 The carbonation of the C12 lifted the fatty cheese off the tongue to reveal a citric, fruity tartness. There was enough fruitiness in the C12 to draw out the lemon citrus of the Mascarpone. Malty sweetness balanced out the bitter and tartness of the blue Gorgonzola. New week I shall try and find the idea cheese pairing with a Victoria classic: Lighthouse Keepers Stout. It might be a little late in the season for a barley wine. Barley wines invoke images of cold evenings curled up next to a crackling fire while reading Chaucer. In my demented world, barley wines are enjoyed while feeling the warmth of an overclocked GPU while playing online video games. Does pwning some person named Chaucerdude232 count? I digress. Last year this was my favourite beer. How could you not enjoy a pre-aged barley wine for only $7? I found this years version a little hot and syrupy. It was still quite nice, but it had big expectations placed upon it. The alcohol warmth and apricot sweetness became apparent as soon as I removed the cap. 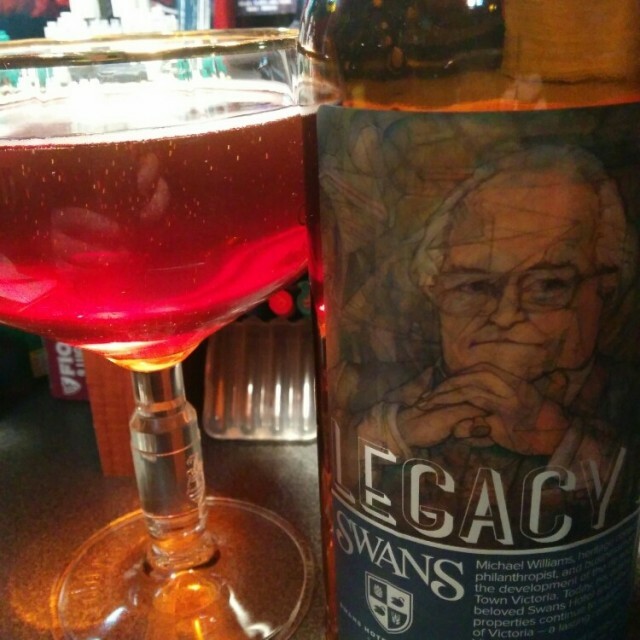 Sweetness was a major flavour of this barley wine; lots of peaches, apricots and marshmallow. The booziness and mild earthy hops tried their best to temper the syrup. Still, it was a tasty barley wine that is ready to drink now. I'm looking forward to seeing if the alcohol calms down in about six months. Food Pairings: The dish would have to be big, rich and fatty. How about duck pate? Desert might be nice. I'm thinking apricot upside down cake. As for a cheese, a blue would be bold enough to stand up to this warming beer. It might pair well with a quality feta; the salty feta would be a good contrast to this sweet beer. roast, chocolate and earthy hops. I'm not sure how a usually spicy yeast will play upon a balanced dark ale. The nose is very porter-like with dark fruits/berries, dry chocolate and a slight bit of ash. There is a mild hint of the spicy yeast flavours apparent in the nose. This porter is a smooth sip with one surprise. A slightly minty hop flavour is balanced with bittersweet chocolate, dried berries and potted plant. The Belgian yeast only provides the slightest of spiciness. It is most noticeable in the short lived, calm spicy chocolate linger. Food pairing. Think of things roasted, earthy or fruity. Might be nice with a spicy Mexican chocolate cake. I would choose a grilled Portabello mushroom burger. 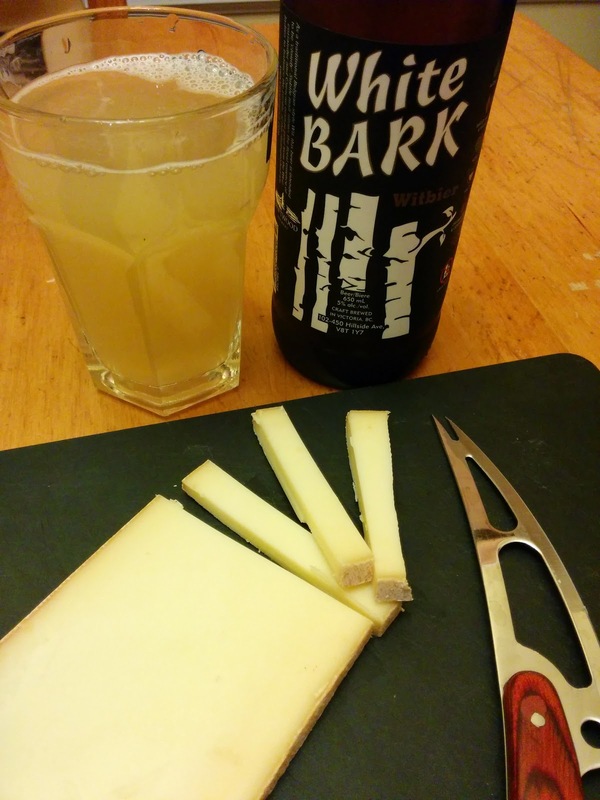 Cheese: This beer could stand up to some potent cheeses. A mild Stilton would be nice or a smoked Gouda. 1. Start drinking the Victoria classics. This is hard for an Untappd beer ticker. Why would I spend good money on a beer I have already tasted? I can't recall the last time that I drank Driftwood's White Bark or a Hermann's. 2. Work really hard to try every new release in Victoria this year. At least, those worth trying. This is harder than it sounds, Moon Under Water released a few beer I had never heard of. 3. Go on a brewery tour. I have actually never been on one. Maybe Jeff from Category 12 can show me around. 4. Visit the Four Mile Pub. Yes this does directly conflict with number 2, but I want to see if it is as bad as everyone says it is. 5. Start homebrewing again. All the gear is in the shed. My low ABV English style bitter was quite tasty. 6. Blog on a regular basis. Enough said. Did you know that this crappy blog has been running since 2007?! How about you readers? Any Brew Years resolutions?